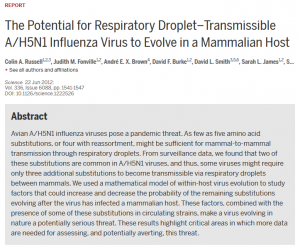 The scientists themselves who were conducting the specific research on how they made H7N9 virus increase its rate of human transmissions are already publicizing it. More than that, they are also studying specific strains from different locations on Earth, so that a gene, or race, specific attack can be made possible. 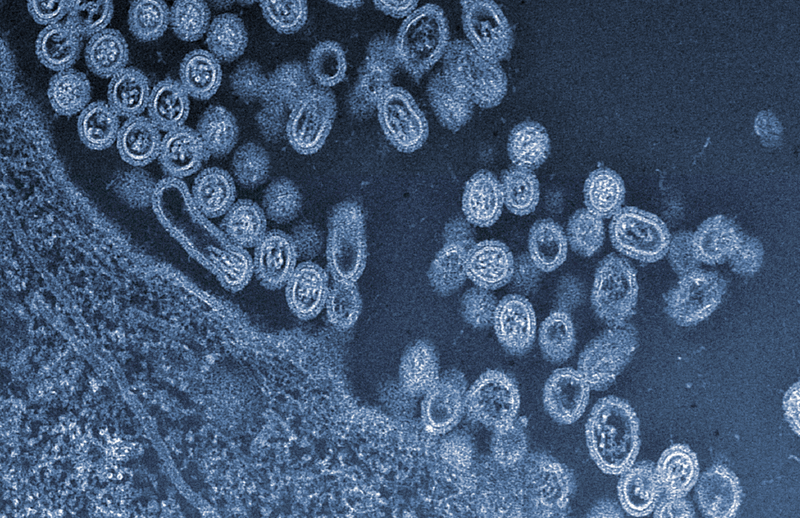 Now, scientists in California have published research concerning enabling the human-to-human transmission of the bird flu virus H7N9. This virus strain is of concern to scientists as it has already infected 1500 people and killed 40% of them. H7N9 has not been known, however, to spread easily from human contact. Reuters also quoted virologist Wendy Barclay. “These studies keep H7N9 virus high on the list of viruses we should be concerned about,” she said. Since 2001, the US government has poured over $100 billion dollars into what was initially called “Biodefense” but has euphemistically been renamed “Health Security.” Many of these programs are dual-use; that is to say the research can be used for either protection or weaponization. Scientists argue that it is necessary to first create the weapon (in this case a pandemic agent) in order to research the cure. However, the US’s record of straightforwardness surrounding her “Biodefense” or “Health Security” programs has been abysmal. The limp-wristed investigation into the anthrax mailings of 2001, in which federal investigators neglected or refused to consider any lab but Fort Detrick as the locus for mailing the anthrax spores — which killed five and sickened over a dozen — resulted in the probable culprit at US Army’s Dugway Proving Ground getting a “Get out of Jail Free” card. It was less than two years ago when Dugway was caught sending live anthrax through the mail to labs, worldwide. Initially, it was thought that nine labs received the live anthrax. The number soon expanded and it was ultimately admitted that 575 separate shipments of live anthrax had gone out in the span of a decade. The reality is that the sort of research that delves into how to make H7N9 spread easily and efficiently among humans is the kind of research that should raise substantial alarm. According to sources in the US government, the moratorium on publishing this type of research is soon to be lifted. Shortly, anyone with two specimen vials to rub together may very well be able to surf the Web and learn how to create a worldwide plague. And in our current technocracy, with its worship of science as an inherent good, there just doesn’t seem to be much concern about this. Janet Phelan is an investigative journalist whose articles have appeared in the Los Angeles Times, The San Bernardino County Sentinel, The Santa Monica Daily Press, The Long Beach Press Telegram, Oui Magazine and other regional and national publications. 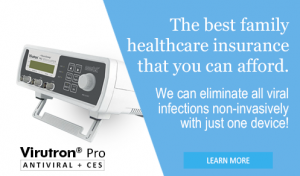 To profit from the desire of every individual to prevent any possible infection. 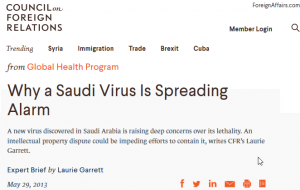 To prove both points, consider the case of the Middle East Respiratory Syndrome coronavirus [MERS-CoV], which was smuggled out of Saudi Arabia, and mailed into the Netherlands, only to be patented by… Ron Fouchier! There has been criticism that the Saudis have been slow to investigate the epidemic. Speaking at the World Health Assembly, the annual meeting of the World Health Organization’s 194 member countries, Ziad Memish, the deputy Saudi health minister, said that the country has been struggling to develop diagnostics because the virus has been patented. … Fouchier says. Commercial companies are the major source of tests and vaccines in most countries. If the Saudis develop their own tests, says Ron Fouchier, who identified MERS, they would not have to pay royalties to Rotterdam “unless they start selling it for lots of money to the rest of the world”. Obviously, Fouchier really knows the full potential of his work, and he is not even ashamed of saying it bluntly. Snapshot from the Council on Foreign Relations website. The news was so exciting enough that it was featured on the Council on Foreign Relations’ website. This scheme will not only give them high profits, this will also act as a filter for eugenics purposes, i.e. those who consciously seek knowledge about how the world works will survive, and those who do not, deserve to die.